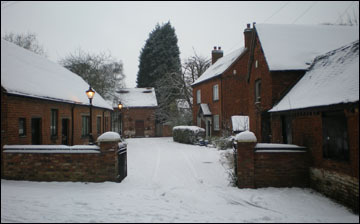 Yardley today is a District of the City of Birmingham, in the West Midlands, with a history that goes back many centuries. 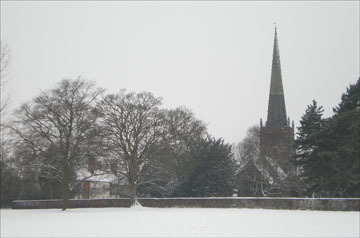 The Village of Yardley grew up around the Church of St Edburgha's, which remains today at the Heart of the Conservation Area. 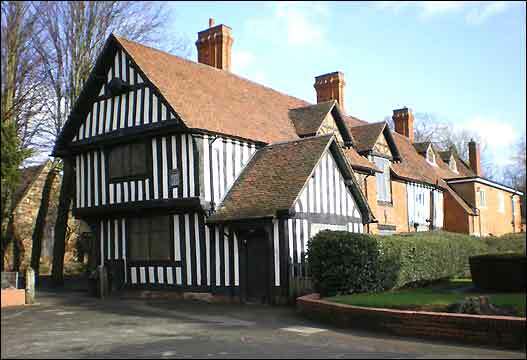 To represent to the Civic Authories the views of all those concerned with preserving, and enhancing the Outstanding Urban Beauty and Character of Yardley Conservation Area. Provide for members a varied programme of Talks and Social Events. 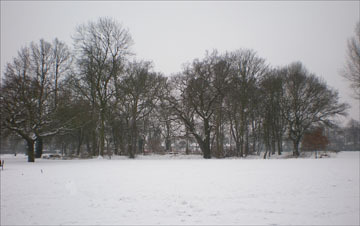 Old Yardley Park Conservation Area. 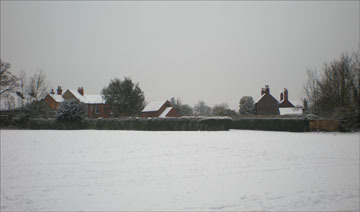 By A.D. 1260 There is evidence of a school in Yardley,the Masters were monks from the Maxstoke Priory. This present building probably dates from the 15th Century,it may originally have been the Guild Hall. W.Sutherns was the last master, the school closed in 1908. 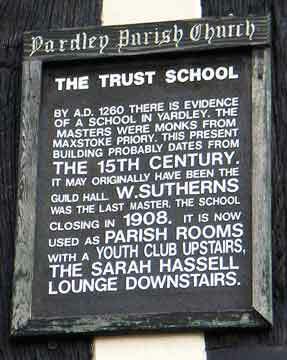 The Trust House is now used as Parish Rooms with a Youth Club upstairs, the Sarah Hassell Lounge downstairs. The First Chairman was the Vicar at that time - Reverend David A Edwards,who was reponsible for the concept of such a Society. I served on those early committees, and our Secretary was Ruth duCrow, from Hollycroft.When David Edwards left Yardley the Chair was taken up by Keith Lawley, who was largelyreponsible for several major developments. One was the pedestrianisation of the road bythe church, conceived mainly to counter the City's proposal to ease the traffic flow bywidening and straightening the existing roadway - with the loss of a large part of the churchyard. 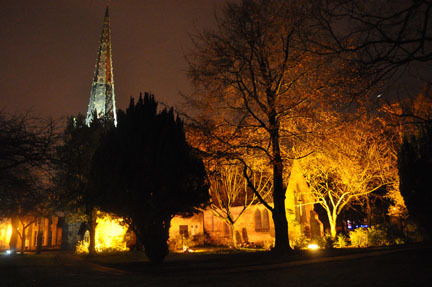 Another of Keith Lawley's achievements was the installation of floodlighting for the church.Much was achieved in those early years, bearing in mind there was no other Residents Assocation. The next Chairman after Keith Lawley was Malcolm Leonard, he was followed by Raymond Brown,when his health became frail, he handed over to the current Chairman Robert Jones. 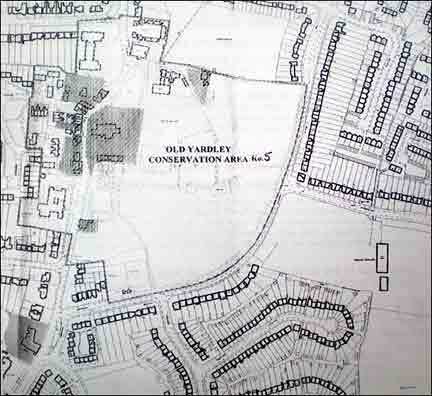 We enjoyed a very successful and interesting meeeting in February, when our City Engineer and Surveyor, Mr Neville Borg, came and told a Parish Meeting something of what would be involved in the recent designation of Old Village of Yardleyas a Conservation Area under the Civic Amenities Act, 1967. At the end of that meeting it was agreed that I should summon a meeting of all interested local ressidents during the summer, in order to see if we couldform a Yardley Conservation Society, to co-operate with the City Council in it's plans topreserve the old village and if possible, to make suggestions to the local authority as towhat we think should be done with the houses and land in the area. 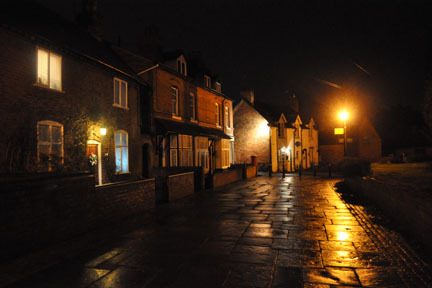 If we work together on this, I am sure that we shall be ableto preserve our lovely old village as a haven of peace and charm for future generations,and also a pleasant place for people to live in at the moment. The Society shall be known as The Yardley Conservation Society. The object of the Society shall be to co-operate wherever possible with the City Council in the implementation of the Civic Amenities Act1967, especially as it relates to the Old Yardley Conservation Area, and adjacant areas. the end of the first twelve months. Annual General Meeting. The AGM shall be held shortly after Easter each Year. the original scheme to widen Church Road, and the parking of cars in School Lane. Mr R.W. Johnson, at the earliest opportunity. given to the Yardley Charity Trust in 1463.